The clandestine world of money laundering was penetrated in the late 1980s by an aggressive and covert handful of law enforcement officers. One of those officers was Michael Hearns. For 10 years Michael Hearns lived in a world awash in an endless stream of cocaine, and duffel bags crammed with illicit dollars. Now retired from the undercover money laundering business, Hearns is now sharing his hard earned knowledge and vast experience with other law enforcement agencies and the financial world. Russia’s increased efforts to stamp out illegal banking activities could cause the country’s financial system to collapse, a lobby group representing Russian lenders said Tuesday. The Bank of Russia recently stepped up efforts to clamp down on the country’s banks, revoking licenses and suspending bank operations where lenders were suspected of false accounting and money laundering. The closure last week of the medium-sized Moscow-based Master Bank was the central bank’s highest-profile move since Elvira Nabiullina became the Bank of Russia chief in July, possibly indicating a renewed push against Russia’s shadow economy. So far this year the central bank has revoked the licenses of nearly two dozen banks. Ms. Nabiullina’s predecessor, Sergei Ignatyev, had voiced concern earlier this year about massive money-laundering operations in Russia’s banking system but didn’t identify specific institutions. The Moscow International Currency Association, a lobby representing around 100 domestic banks and Russian branches of international lenders, said in a statement on its website that it welcomes the idea of cleaning up Russia’s banking system, which comprises nearly one thousand lenders. But it said the central bank should have come down hard on banks involved in illegal activities at an earlier stage, before they had time to amass deposits from households and businesses. 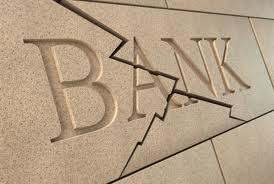 The association, which counts major lenders such as Alfa Bank and Raiffeisen Bank among its members, claimed that over-hasty moves taken now could cause a banking collapse similar to that of 2004. Back then banks started closing and lowering mutual transaction limits amid fears of a widespread revoking of licenses, which paralyzed the interbank market for several months. “The interbank market is an important tool used to support and manage liquidity for the majority of Russian banks. 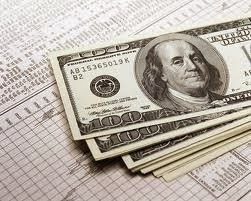 Its freeze is capable of creating problems in the whole banking system,” the statement said. Following last week’s Master Bank closure the ruble dropped to its lowest level against the euro since late 2009. Market observers said some banks were buying foreign currencies in a bid to sidestep risks related to a deepening purge of the banking system. The Russian central bank declined to comment. Russian police said Monday they believe a black market financing ring may have helped support the Islamic political organization Hizb ut-Tahrir, banned since 2003. 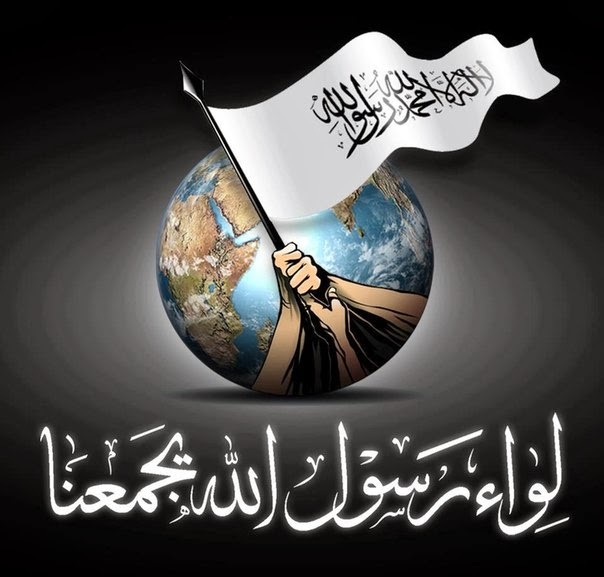 Russian police said Monday they arrested seven members of a Central Asian criminal gang suspected of steering funds toward Hizb ut-Tahrir, a political organization banned in Russia since 2003. Russian state news agency RIA Novosti reports authorities seized more than $5 million from the members. Hizb ut-Tahrir emerged in the 1950s as a Sunni group advocating strict Islamic law. Authorities in Kyrgyzstan told the BBC in 2010 the movement experienced a revival in Central Asia following the collapse of the Soviet Union in the 1990s. Russian police were quoted by RIA Novosti as saying they suspected the financiers laundered money in Russian through financial channels "in the interests of natives of Central Asia illegally based in Russia." Voice of Russia, in a separate report Monday, said the ring leaders transferred illegal funds to more than 120 different organizations, including offshore entities. They used so-called shadow bankers to transfer as much as $46 million per month through the illegal accounts. Russian police provided few details about the arrest, which Voice of Russia said followed an 18-month probe. In recent weeks Mexican cartel money laundering operations in the United States have been exposed as imaginative and daring. In the two principal cases uncovered, very different devices were used by the drug trafficking managers. These cases are an introduction to the breadth of mechanisms available to turn dirty money clean. Perhaps the operation that had the most elaborate cover, yet a still relatively simple financial structure, was the most forward-looking. One of the top figures in Mexico's Los Zetas drug organization, Miguel Angel Trevino Morales, had a younger brother who liked horses, needed a job, and was available to manage a ranch (bought through an intermediary with drug profits) south of Oklahoma City. Along with his wife and three children, young José Treviño Morales set about to establish himself as an owner/breeder of quarter horses. He paid for everything in cash or by using false names and accounts of supposed partners. Treviño Morales and his considerable ranch staff of fourteen built a reputation of fair bargaining and quick payment. The 400-plus horse enterprise was the envy of many other breeders with less deep pockets, but any annoyance was quickly salved by the fair and generous business practices of the Treviño Morales operation. Meanwhile millions of dollars in cash accrued by the drug trafficking operation of the Zetas was "cleansed" in the accounting for the high maintenance quarter horse breeding and racing business. 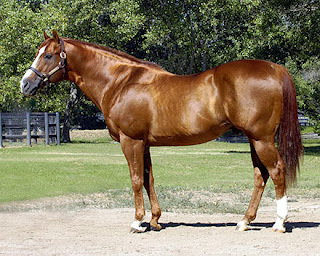 The stable's reputation grew as it began to turn out serious winners on the track and at the auctions in Oklahoma, Texas, New Mexico, and California. The overall operation was incorporated since 2008 as Tremor Enterprises LLC -- and they paid all their bills on time. The New York Times once again appears to have had an inside source within law enforcement, for when it broke the story on June 12 citing its "investigations lasting months" and anonymous sources, federal authorities, including FBI Special Agents, swooped in on the ranch the same day. They were able to arrest only 7 of the 14 indicted, including José Treviño Morales and his wife. Whether this was due to the Times's early publication has not been surfaced. At this point, however, the U.S. Government has seized 41 of the choicest horses and is arranging for the care of the other 384. While the Treviño Morales horse breeding operation reportedly successfully "cleaned" tens of millions of dollars -- and won some very large racing purses on the side -- another less romantic money laundering and drug trafficking dance was in process in nearby Western and Midwestern states. Due to the United States' tightening of controls on the production of chemicals used in the making of methamphetamine, the manufacture and shipment of meth from Mexico has grown exponentially. Many mid-sized American gangs purchase cargos of meth either directly from Mexican cartel producers or intermediaries who have illegally transported the product over the Mexican/U.S. border using both witting and unwitting truck drivers. The meth is then carried from border sites to middlemen in California, Colorado, and elsewhere central to the customer base. One such operation, according to the DEA, owned both a legitimate trucking company and an import/export firm. The latter carried licenses to import goods from China, thus allowing a legal route for money to flow to China and then return in goods or money transfers to Mexico -- and the cycle would begin again. While there are several versions of the foregoing used in money laundering, one of the most reliable remains the utilization of the real estate market. Purchase and resale of high-end real estate properties (residential or commercial) has been a natural route for cleaning dirty money. Resale at an appropriate price to a bona fide entity creates a cleansed account and money that can be transferred anywhere in the world. There are many mechanisms now employed by the drug cartels to clean up the cash they obtain through illicit drug sales in the United States and Canada. All that is needed is an intermediary that can maintain the appearance of a legitimate cash flow (such as service and import/export concerns), and careful accounting takes care of the rest. Casinos and high volume restaurants are always an attractive money laundering target. While new and different mechanisms always become available, funneling money into the American stock and commodity markets remains a high priority objective. The establishment of a legitimate-appearing identity is the sole criterion for creating an investment account allowing considerable sums to be moved around domestically and internationally. Clean identities have evolved through repeated transfers of money from Mexico and other Latin American sources to the Gulf States of the Middle East, China, Southeast Asia and eventually to the usual small countries with discreet banking and taxation laws. It takes quite a bit of imaginative accounting, but it's worth the effort to cover the original sources.